What it is: A trio of semi-permanent cream eyeshadows that work to reduce the need for retouching throughout the day while continuing to moisturize delicate eye skin. Beauty bonus: When touched or rubbed, the shadow seemed to stay put a little better than other cream shadows we've tried. Beauty bummer: While the shimmer shadows have nice shine, the matte shade was a little disappointing. It was very muted, without a huge amount of pigment even with (what we thought) was a lot of product. 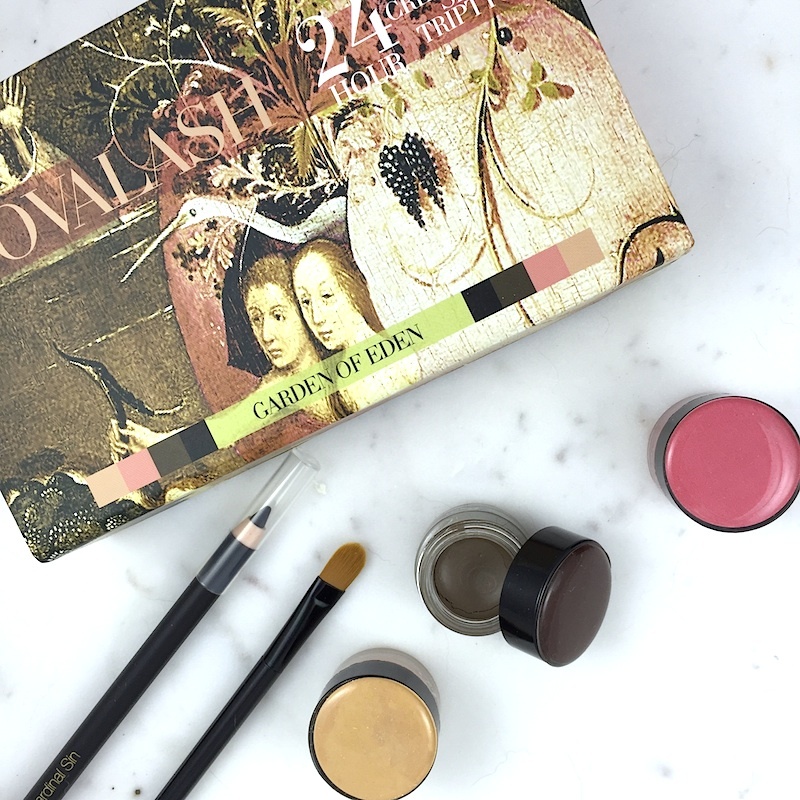 Overall: We tried the Garden of Eden kit and were impressed by the creamy texture of these shadows — and we enjoyed the included eyeliner and application brushes in the set. We have found synthetic brushes work best with cream shadows and this was no exception. The company tailored its shadow sets to complement its main product — lash extensions — so if fall out from shadow is a major annoyance for you, this cream formulas would be a perfect fit. We tested the waterproof claim, and found they stood up pretty well. While they required a fair amount of elbow grease to remove the product with simple soap and water, an oil-based remover worked like a charm. Would recommend? As a set, probably not. But the single shimmer shades were so good, we'd say finding them on their own and picking up one (or two colours) is a must!